Howdy all. It’s been 18 months already so I’m updating our games, I’ve added in three games already, Codenames (no idea how I missed it) kingdomino, Queen Domino and DInosaur tea party. I need to add more photos! One of our regular gamers Kenny has kindly combined a list of tips for attending the expo (and other conventions), the expo is constantly growing so we’ll update this before the event next year if we find out more! Coping with the crowds was vital for me in order to get the most out of the expo. Getting from a to b can take longer than you think. Popular attractions like the bring and buy will have long queues at peak times. Saturday tends to be busier than Friday and first thing in the morning / last thing in the evening can be quieter. The expo guide has a great index of stands and exhibitors. There are also larger maps available at the expo merch stand by the main entrance. Planning goes a long way. Use the big stands to orientate yourself, there’s also street names and row numbering which makes things even easier if you are that way inclined. The volunteers are really helpful, but don’t expect them to know everything. Walking around the expo can be knackering. There’s plenty of places near the main hall to take time out. If the weather is on side you can grab something to eat and sit by the lake if you need a break from gaming. Otherwise there is a Wetherspoons, Starbucks etc in the NEC itself and a shopping centre at the Genting complex under 10 min walk away with all the normal chains you would expect. Pack light to stop you getting worn out. If you have a full rucksack and you are walking around the main hall you will be annoying people by hitting them, The aisles were a lot wider this year but space is still at a premium. A large tote bag worn on your shoulder or a messenger style bag is much better as you can hold it in front of you or keep it under your arm. Either way, be considerate, and be aware of your surroundings. If you are buying a sackload of new games there are a couple of options to make your life easier – right outside hall 1 there is a cloakroom that will accept bags of any size for £1. We left a large suitcase on both days this year. Also Leisure games have a game drop off service where you can leave as many games as will fit in one of their large storage boxes. I think they charge £2 but haven’t used the drop off so can’t confirm (Rumours it got very full). Pack a few tote bags as well to bring your wares home in. Don’t feel you need to bring lots of games for open gaming there is the lending library and there will be lots of games to play there perhaps bring a few unusual ones or your favourite. My favourite thing at the expo is getting to expand my gaming palette by demoing games I wouldn’t normally get to play. Demos are popular though! A theme develops. Its rare you are going to walk up to a booth, find a game set up with a demonstrator ready to sit you down and start teaching. My first advice for getting a demo in is probably a bit obvious – hang around by a table in play. The demonstrators will be happy to let you know how long a session is likely to take to finish. Sometimes you might get lucky and be able to squeeze onto a table if they haven’t quite started yet. Bear in mind there may be other people who have been waiting for a game to finish but aren’t hovering right beside the table. The large open gaming spaces in the main hall and it the hilton are an amazing buzzing tabletop mecca. I could happily wander about just looking at the games people are playing as it seems like i only recognise 1 in 10. It’s very easy to strike up conversation with people and next year i definitely want to make a point of spending more time doing just that, and hopefully playing more games with strangers. There are bars inside or near the open gaming spaces in the hilton. Prices are middling to expensive with pints around £4 for a plastic pint glass. There were also tea and coffee stalls but a mad person must have been in charge of their opening hours as they were closed by late evening. During the afternoon the space in the main hall is surprise surprise pretty busy. As soon as the main hall closes a vast amount of people head over to the hilton. However getting a table should be easy as long as you go first thing in the main hall and any time up until 5.30 ish in the hilton. If you want to find space at peak times you’ll need to be patient, like getting a table in a busy pub. Don’t expect to find a spare table for 6 people unless you have time to wait for people to finish. Alternatively use the space in your hotel lobby. A flag system showing you are looking for new players should be in place but the last two years flags have been hard to find, so we’ll be making our own for next year. Gamers are really friendly. Not sure why this came as a surprise, but it is a welcome one. Its great having people carrying new games around as there’s nothing we like more than talking about our new purchases. I totally recommend getting involved with as much as possible. If you are shy try finding an open gaming table somewhere nice and early and wait for people to join you – they’re highly likely to ask if you want to play something with barely any effort on your part. Or if you are a smaller group or couple ask if people mind if you join them. Some people will be saving space for friends, wanting to play something specific etc, but not everyone. One last thing – There are supposed to be little union jack flags for people to use as a sign that their table needs players. I didn’t see one of these but reckon a home made sign would do the trick even better. if you are on a budget consider attending for one day, bring your own food and drinks that is fine, consider which day is best to attending, Friday and Sunday are quitter. Friday opens later but sunday closes early. Saturday is busy. Do you research and do not park near the airport, the NEC or train station are often cheaper. Kevin has written a great guide over on The Dell House website describing modern games. Dell Con is a residential games weekend in Malvern run several times a year. Well worth checking out, they even do day tickets for ‘locals’. It is remarkably difficult to convey the ‘idea’ of modern board games. If I were to say the word “car” you’d picture something from the last ten years, yes? Reasonably fuel-efficient, comfortable, good brakes, maybe even ABS and SatNav. If I were to say the word “boardgames” I’d wager that you’re now thinking of games from the time when cars had starting handles, bench seats and pop-up indicators. 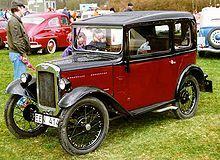 Consider the modern Fiat 500 and the 1930’s Austin 7. The Fiat is a small runabout car, it has a wheel at each corner, steering wheel, brakes, lights, seats. It gets you from A to B. In this sense the Fiat and Austin are the ‘same’ but I doubt you think of them as the same thing at all. If you haven’t played any new board games for a while and not sure where to begin, look no further. We’ve listed similar games to all of the major classics. We’ve tried to list games which are available to buy and should feel familiar yet exciting by highlighting a key aspect similar to the classic game. Modern board games have come on a huge way in the last 20 years. Give it a try and I’m sure you won’t be disappointed. This list is also subjective. There are many thousands of awesome games out there so if you have a better suggestion do let us know. Finally did you know it is possible to play cooperatively. You and your friends or family against the game. It is not as easy as it sounds and is a great way to play with a mixed skill or age group. Sound interesting? Why not try Pandemic, or Flash Point: Fire Rescue?